At Lyceum Health Clubs in Manahawkin, New Jersey, we offer a complete gym workout through various exercise classes. Regardless of the routine you choose, we guarantee that you get all the fat-burning and stress-busting benefits. Experience the advantages of a one-on-one workout session by signing up for our personal training program. Customized for your personal needs, it allows you to enjoy private sessions with a personal trainer. 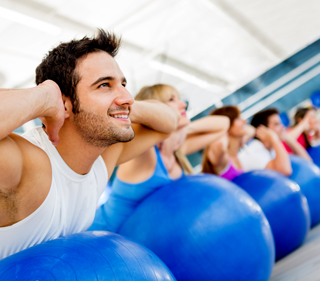 Stay in shape in the company of friends or other health buffs by enrolling in any of our group exercise classes. Each class lasts for one-hour and has varying sizes depending on your chosen class. Classes cover Yoga, Pilates, and all types of step and resistance exercises. Whether you are a long- or short-term member or a walk-in client, you will enjoy our fitness programs. We offer discounts to year-round clients and day passes for those who want to try out our facility first before signing up for membership. Our affordable rates combined with our high-quality amenities distinguish us from our competitors. Members are charged monthly from $18.99-$45.00. The $18.99 discounted membership fee only offers access to an area that's exclusive for women. Contact us today in Manahawkin, New Jersey, for inquiries on our exercise classes and the benefits of our gym workout sessions.